Almena; c.1953. Courtesy of Dietmar Willer & shared by Mary Ann Mock; all rights reserved. 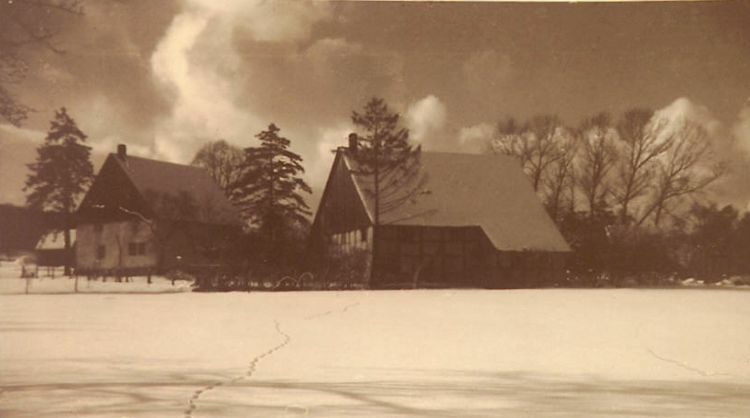 These two photographs, dating from around 1953, depict the residences at farmstead No. 13, in Almena, North Rhine-Westphalia, Germany. Neither structure is still standing. The house on the left is the Leibzucht, or retirement house. The building on the right is the main residence. 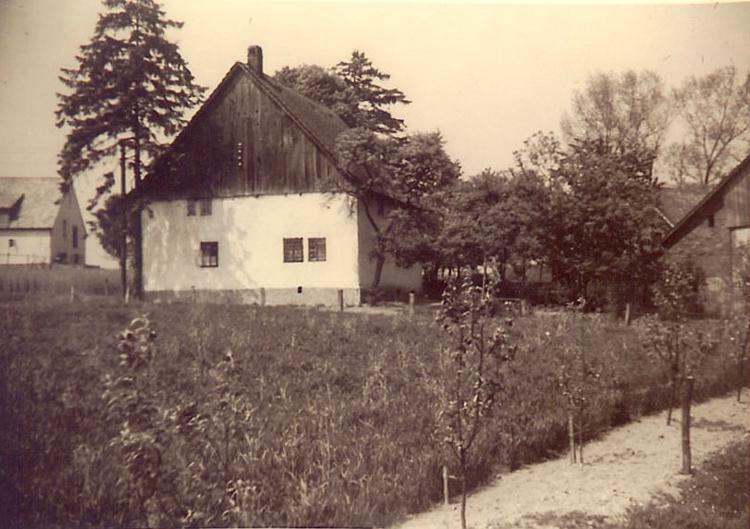 This farmstead was the home of the family of Johann Heinrich Adolph Wehrmann and his first wife, Wilhelmine Sophia Katherina (Kater) Wehrmann until 1844. Johann and Wilhelmine Sophia Katherina Kater were married on 23 October 1814 in Almena, Principality of Lippe, and became the parents of 11 children in this town before Wilhelmine died on 29 March 1839. In 1842, Johann married Wilhelmine Auguste Meier. In 1844, a child was born, and died, in Almena. In 1845, another child was born, in Nalhof, Lippe. In 1851, Johann Heinrich Adolph Wehrmann; his second wife, Wilhelmine Auguste (Meier) Wehrmann; their child, Dorothea Charlotte Wehrmann; and 3 of Johann's children from his first marriage, Conrad Heinrich Adolph Wehrmann, Friederike Henriette Wehrmann, Wilhelmine Florentine Charlotte Wehrmann, emigrated to Missouri, USA.